As a first responder, you’re one of the first people on the scene when something goes wrong. People trust you during critical times because they know you have the training to keep them safe. They believe in your ability to take the correct course of action when lives are at stake. Whether you’re working locally or you’ve been called to another destination to lend a hand, people rely on you to exercise your expertise to handle situations they can’t manage on their own. One of the main reasons people put their faith in you is that they know you’ve earned your OSHA certification as a first responder. Among other types of training, area residents and business owners know you’ve completed OSHA first responder operations or at least awareness level training. 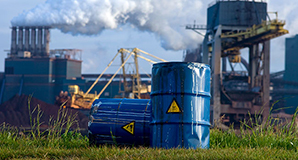 HAZWOPER is shorthand for hazardous waste operations emergency response. This type of training is mandated by OSHA standard 29 CRF Part 1910.120. 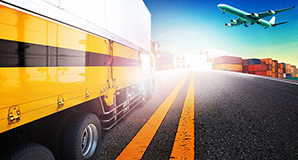 This standard requires first responders and anyone else who has the responsibility to respond to an emergency situation involving hazardous substances to be adequately trained and protected. It also requires professionals who carry out duties at a waste site where hazardous materials are present to be sufficiently trained. OSHA makes it necessary for people in your position to complete certification courses for first responders because so much is at stake when you receive a call for help. There’s no way to know when that call will come, but the public trusts that you have the training necessary to protect all workers involved in whatever incident triggers the call. Firefighters are often the people charged with responding to hazmat spills that can cause injury or death and that have the very real possibility of resulting in a fire or explosion. To respond to these grave situations, you need the right training to prevent an already bad situation from evolving into a downright catastrophe that may impact a given community for years, if not decades. You can get the training you need at Hazmat School. We offer certified first responder training online. 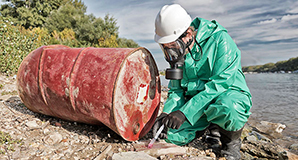 Our OSHA-approved courses enable you to learn everything you need to know to protect members of the American workforce, residents, wildlife and the environment during times of crisis involving hazardous waste. Commander level. Regardless of the type of emergency response training you have, you will need to make sure you are renewing your certification every year. Continuing education training courses usually involve anywhere from four to eight hours of classwork before attendees can take their final exam and earn their recertification. For many first responders, ongoing training is required throughout their years as a public servant. Hazmat School offers an array of courses online that are guaranteed to meet OSHA’s strict criteria. You can earn an OSHA certification for first responders online when you enroll in one of our training courses. Because our courses are available online, you can complete your training at your convenience from any location. Whether you’re studying at 2 a.m., 2 p.m. or another time of day or night, you’ll have access to remote instructors who are ready and able to answer your questions. Hazmat School is one of the most affordable options for first responders who need to become certified or recertified and for individuals who simply need a refresher course. We offer discounts to corporate and group account holders as well as government employees, which drop the cost of our courses even further. To learn more about our certification and refresher courses for first responders, contact Hazmat School now.